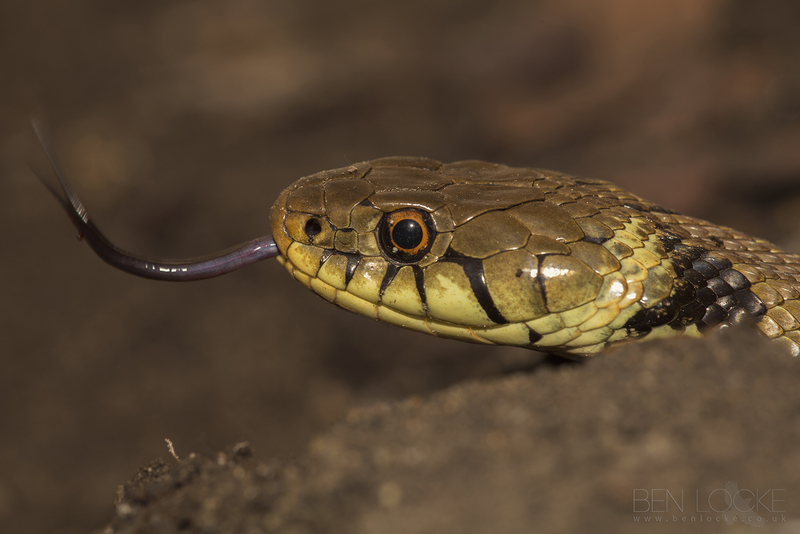 The Grass Snake is an active predator of frogs, toads and newts, although fish, small mammals and young birds may also be taken. Prey is grabbed, then swallowed alive. This species is a good swimmer, and is able to stay submerged for over half an hour. The Grass Snake is predated upon by badgers, foxes, domestic cats, hedgehogs and a number of birds.